The fastest way to get rocking. The DM6 Session Kit’s compact rack and quiet rubber pads give you a versatile, low-noise instrument that takes up minimal space so you can play and practice at any time, day or night. The compact ProRack II comes preassembled in the box for a fast, easy set up. Using Apple’s iPad USB connector, you can even connect the DM6 Session Kit to your iPad to trigger Core MIDI-compliant apps. By connecting your DM6 Session Kit to your iPad, you can take full advantage of the world of iPad apps that expand your recording or performance pallete. The DM6 Session Kit has great-feeling rubber drum pads: three toms, a dual-zone snare for triggering head and rimshot sounds, a compact StealthKick kick pad, and hi-hat, crash, and ride cymbals that move naturally. 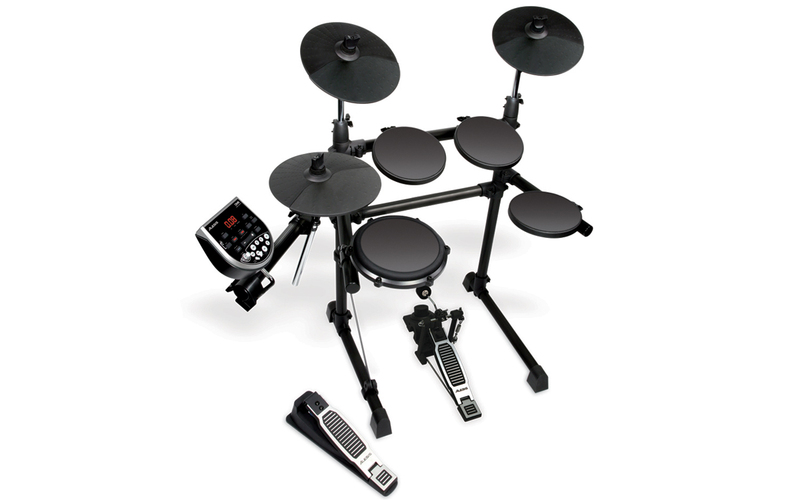 The DM6 drum-sound module is a compact electronic drum "brain" with 108 quality drum, cymbal, and percussion instruments; a sequencer with play-along tracks, metronome, recorder, and a mix-in jack for playing along with your iPod or other music device. The DM6 module features an internal collection of top-notch drum, cymbal, and percussion instruments that you can edit and save into your own custom drum kits. You get 10 preset drumsets and five custom spots to build your own. 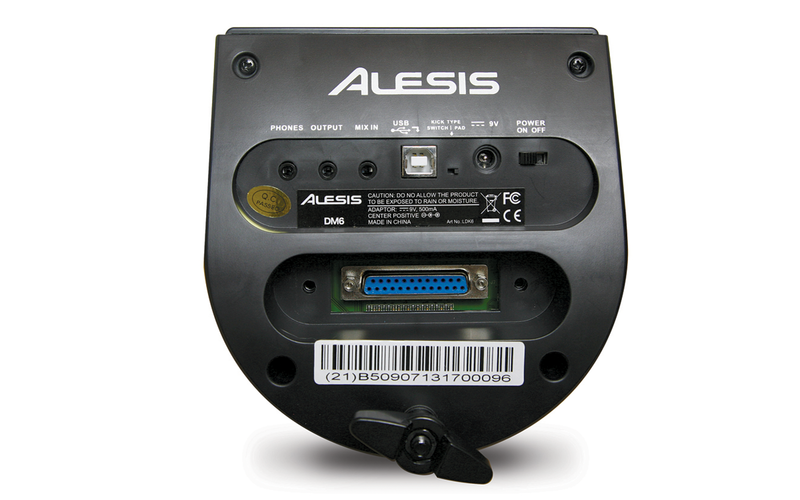 In addition to the library of built-in sounds, the DM6 also has a USB output jack. 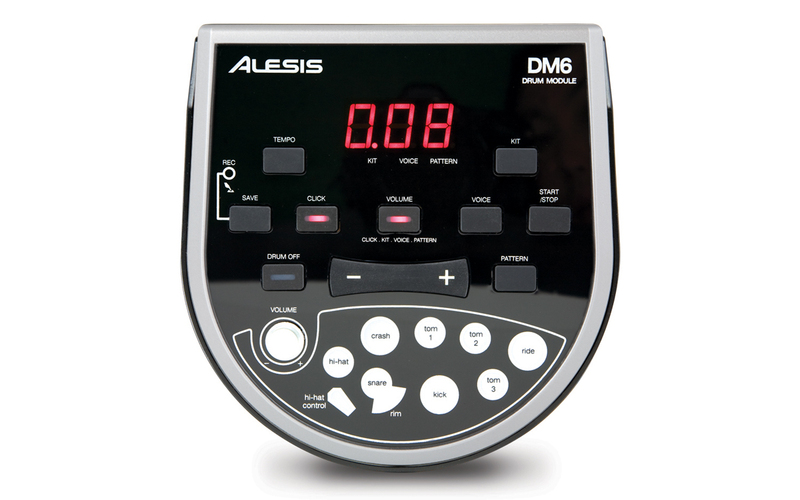 By connecting the DM6 to your Mac, PC, or iPad using Apple's USB adapter, you can send the notes you play out as MIDI signal, transforming the DM6 into a trigger-to-MIDI interface for use with with drum-module apps such as BFD, Toontrack, or Reason. Imagine a limitless collection of sounds! 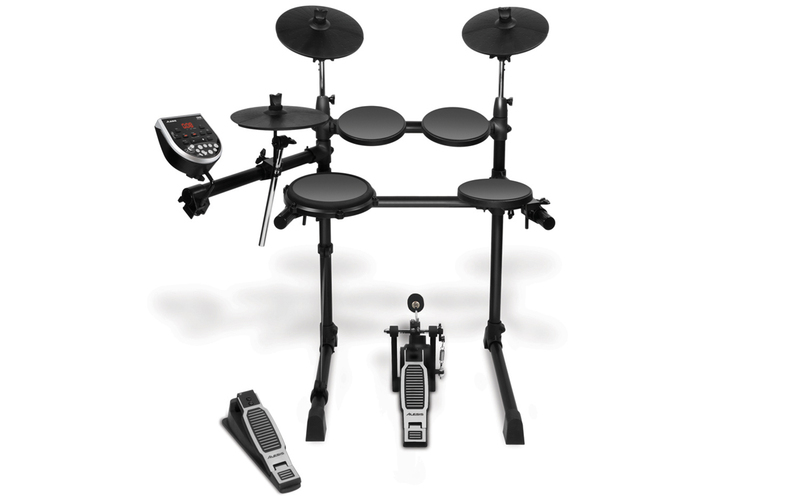 The DM6 Session Kit's ProRack II comes preassembled in the box, so all you need to do is unfold it, mount the pads, plug everything in, and you're ready to rock! It even comes with a chain-drive ProKick pedal and drumsticks. Crack open the box and get ready to rock with the DM6 Session Kit. Low noise rubber playing surfaces – play any time!